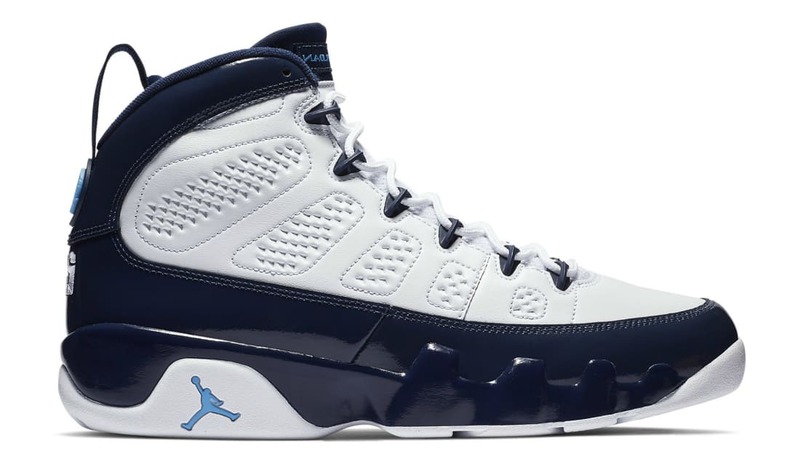 Jordan Air Jordan 9 Retro "Pearl Blue"
Air Jordan 9 Retro "Pearl Blue"
Inspired by Michael Jordan's Carolina roots and the host city of the 2019 NBA All-Star Game, the "Pearl Blue" Air Jordan 9 features a UNC-inspired palette of white, navy and university blue. Release date is February 9, 2019 at a retail price of $190. News Air Jordan 9 Retro "Pearl Blue"